SMART Farming Partnership grants of up to $4 million are now available for projects that improve the sustainability of Australian agriculture. 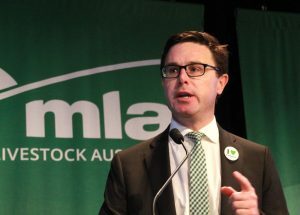 Minister for Agriculture David Littleproud today said the grants between $250,000 and $4 million now available under round two of Smart Farming Partnerships for farmers, Landcare Groups, universities and others. “We are funding substantial projects between $250,000 and $4 million that improve the sustainability of Australian agriculture. “These grants fund sustainable agriculture by helping create new practices and then having farmers use those practices,” he said. “Grants can fund research, trails or delivery of projects which deal with, for example, soil health, pest control, farm input efficiency, Indigenous involvement and climate adaptation,” Mr Littleproud said. Grant applications for round two of the Smart Farming Partnerships open on 19 March and will be open for eight weeks. The Smart Farms Program is part of the Australian Government’s $1.1 billion National Landcare Program and 15 projects worth $27 million were funded through round one of the program. Click here for more information on the National Landcare Program.